Wang Bi 王弼 develops a metaphysic of Dao 道 in his Commentary on Laozi (Laozi Zhu 老子注) and “The Structure of Laozi’s Subtle Pointers (Laozi Zhilue 老子指略).” I summarize this metaphysic as the following thesis: Dao is featureless and is the ultimate reason why the myriad things exist and are the ways they are. 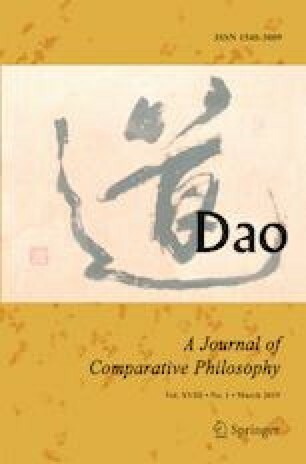 I develop a systematic account of this thesis: I provide an interpretation of the featurelessness of Dao and show how Dao’s featurelessness relates to its fundamental explanatory role as the ontological ground for the myriad things. I would like to thank an anonymous reviewer and audiences at the 13th Annual Midwest Conference on Chinese Thought for their helpful comments. ______. 2017. “Determinables and Determinates.” The Stanford Encyclopedia of Philosophy (Spring 2017 Edition), edited by Edward N. Zalta. https://plato.stanford.edu/archives/spr2017/entries/determinate-determinables/ (last accessed on January 10, 2019).